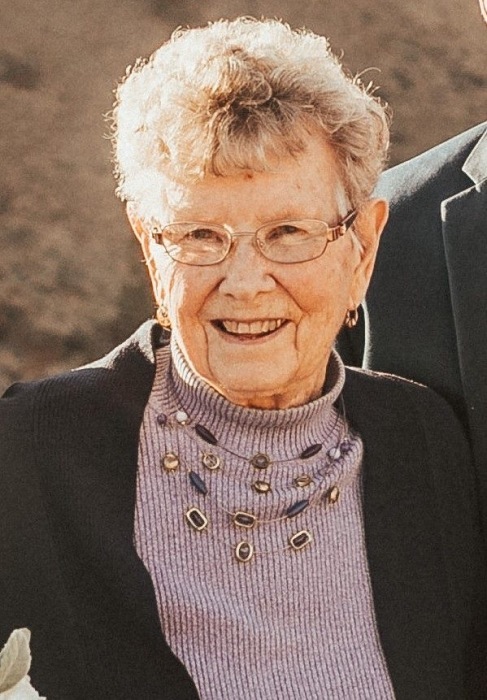 Meryle V. Kenaston, 94, of Milan, formerly of Salem, Ore., passed away Wednesday April 3, 2019 at home. A memorial service will be at a later date in Salem. Wheelan-Pressly Funeral Home and Crematory, Milan, assisted the family with local arrangements. Meryle was born March 3, 1925 in Chamberlain, South Dakota. She was one of eleven children born to Frank and Grayce Sinclair Pease. She was united in marriage to George R. Kenaston. He preceded her in death on December 7, 2007. She will be lovingly remembered as the wife of the late George; mother of Joyce (Vern) Swords, Milan, Richard (Terry) Kenaston, Keizer, and the late Janet Gomer; grandmother of Rebecca (Troy) Young, Daniel (Lizette) Swords, Brittani (Chaumas) Crawford, Ryan (Ciara) Kenaston, Erick (Elisabeth) Kenaston and Adam Kenaston; great grandmother of Matthew, Luke, Elijah, Janna, Seraphina, Lilah, Chayce, Cataya, Sabyn, Azaryah, Kayston and Hollis; sister of Mildred Anderson, Grants Pass, Ore., Lois Jean Sweitzer, Hillsboro, Ore, Virgil Pease, Rio Rancho, NM, Glen Pease, Beaverton, Ore., and the late Mary Ellen Pease, Chuck Pease, Burton Pease, John Pease, Warren Pease, and Alva Pease; and aunt to numerous nieces and nephews.